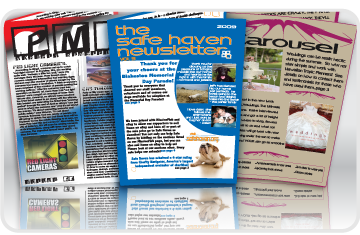 Newsletters are a great way to advertise new products and keep you clients up to date on any recent news or upcoming events. Need help designing a newsletter by a professional? Our graphic design team is just a phone call away. Affordable quality design at a price that works! Sorry there are no specials available at this time. If you would like keep up to date about our specials, please Subscribe to our email list.